This novel was stunningly good. It's as if Kurt Vonnegut and Franz Kafka went drinking together and then got into a bar fight. I rolled my eyes when I started reading, disappointed at yet another attempt to use first person. Three pages in I realized Miller was pulling it off - in spades. 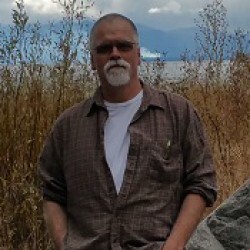 As an indie author I found it oddly reassuring to discover another indie author who is doing things of which I know I am incapable. The world needs more authors saying things like this author says. 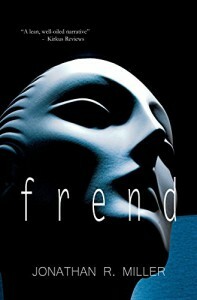 Frend is what science fiction aspires to be. It examines what it means to be human – ethically, socially, even personally and emotionally – critiquing modern society on many levels while still being purely entertaining. It is clever rather than confusing and intriguing rather than contrived. The novel’s premise requires the reader to hand over trust to Miller in order for the devices he employs to function as intended. The reader must perceive that Miller knows what he is doing and is in control for the reader to accept certain details of characterization as they appear and recognize them as features rather than bugs, but in much the same way as Jacob’s Ladder, those who do trust Miller will be richly rewarded for suspending their cynicism with a story which is eminently rereadable by design due to elements of structural irony which I refuse to reveal here. In many ways, Miller’s cleverness and his belief in the ability of his readers is hurting him right now, as is clear from the mediocre feedback the novel is currently receiving. This is a tragedy for the novel and an embarrassment for readers who are not able to see what he is doing or how he is doing it. It is also mildly infuriating to watch as an observer, appreciating that Miller has so thoroughly exceeded the expectations of the field from which he is emerging as to utterly bewilder it. Miller has a rare command of dialogue and an ability to build characters which are not merely unique, but in at least one case iconic – creating perhaps one of the most perplexing love-hate relationships ever to catch a reader in its grips (claws). Someone discover this guy already and lift him out of the slimy muck where the rest of us swim. And Viva la Ursas Maritimus!